We know you have questions about your Vein Problems and Treatment. Dr. Eidson is here to answer them for you. Are Vein Treatments Covered By My insurance? Yes. Vein problems (Venous Reflux) are a very common medical condition that is easily treatable and is covered by most insurance companies including Medicare and TriCare. We will work with your insurance company to make sure we have the necessary documentation required to go forward with treatments. We will also provide you with an estimate of your out of pocket expenses for your specific treatment plan. Every insurance plan is different. We are more than happy to call them on your behalf and get the information for you. Spider Vein treatments are not covered by insurance companies because they are considered cosmetic. We have cash treatment plans for spider vein treatments. They are performed in our office by a doctor or our nurse. 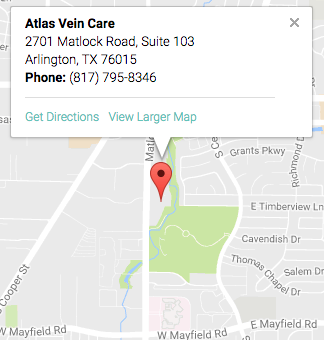 If you are curious and would like to know more about our spider vein treatments, please call our office and schedule a cosmetic only consult with us. It depends. Every person is unique. For patients suffering with vein problems (Venous Reflux), a full diagnostic ultrasound is medically necessary to determine the exact number of unhealthy veins that need treatment. Without this ultrasound it is impossible to estimate how many veins are causing your problems. Venous Reflux ultrasounds are performed in our office and they typically take about 60 minutes to scan both legs. After this ultrasound is complete the doctor meets with you immediately to go over your results. Then we can give you an accurate treatment plan specific for your needs. Why do i have to wear compression socks? The most common answer is that to go forward with treating the Venous Reflux (vein problems) in the legs, your insurance may require you to try wearing medical grade compression socks 20-30mmHg for at least 6-12 weeks before they will approve treatment. You can even find compression socks 20-30mmHg on Amazon.com at very reasonable prices and in fun colors. The way I want you to think about these compression socks is a lot like wearing glasses if you have bad eyes. You wear the glasses and you see better while you have them on. But when you take them off, you still have the same cruddy eye sight. The same thing happens with the veins. You wear compression, and this can help support blood flow and improve blood flow in the legs, but it's not treating the underlying problem. Once you have completed this compression trial that is required by your insurance company, most patients then choose to move forward with treatment. The goal of treatment is to make improvement permanent. There are many benefits to wearing compression socks. Even if you don't have any vein problems, you can still benefit from wearing compression socks because they are good at preventing problems. For example, we recommend wearing compression socks on any airline flight and long car rides over 2 hours. This helps prevent blood clots from forming and causing serious health conditions. The compression in the socks improves the blood flow back to the heart and can help reduce swelling. For this reason, even pregnant women can benefit from wearing compression socks. Do you treat my veins with Vein Stripping? How did I get venous reflux (vein problems)? There are lots of reasons why you might be suffering from Venous Reflux. The most common contributing factor is a family history of vein problems. If your parents, grand parents or family members suffered with vein problems then the likelihood that you might develop vein problems is high. There is evidence of a genetic tendency that causes the vein walls to weaken and wear out over time causing Venous Reflux. Gender is also a contributing factor. Sorry ladies, females have a higher likelihood of vein problems. Women tend to have more problems than men because of hormone changes and pregnancy. Pregnancy creates a lot of pressure in the vein system due to weight changes and blood flow increase during pregnancy, both for mom and baby. Weight changes can also contribute to vein problems. There is little scientific evidence that shows that this is a huge factor, however, experience has shown us that significant weight loss of 40 pounds or more can often trigger vein problems to surface. The fat tissue around the vein acts as natural compression, and when this tissue is gone the veins no longer have that natural support system. Occupations that require a lot of standing or sitting can contribute to vein problems. Gravity is the biggest player here. Gravity is always opposing the natural return of blood flow from the legs back to the heart. When you are sitting or standing for long periods of time, you are not activating the calf muscle pump which is responsible for the majority of the blood flow back to the heart. So then what should you do? Get up and move around or do calf raises or pedal pumps (moving your foot like you are pushing a gas/break pedal). Compression socks also act as a natural support system for your veins. It doesn't activate the calf muscle but it does provide important support to the venous system. Other contributing factors include: previous blood clots, obesity, trauma and surgery. And, unfortunately, many times we are unable to determine the true cause of vein problems. We simply don't know why. How can I prevent vein problems? Unfortunately, there is not much you can do to completely prevent Venous Reflux (vein problems). But the best way of prevention would include maintaining a healthy weight, daily exercise including calf raises and pedal pumps, wearing compression socks to help support the vein valves, elevating the legs while sitting, and avoiding prolonged sitting or standing. Walking, swimming, yoga, losing weight, quitting smoking, etc. can help possibly slow the progress of venous reflux and help reduce symptoms. Most patients (about 95%) feel little to no pain during or after the treatment. We use local numbing medicine to help make sure the treatment is as comfortable and pain free as possible. If you are very nervous or are very concerned about pain, we can prescribe some medication to use before and after treatment. If medication is prescribed to use before treatment you will need a driver to take you home. Most patients are up and walking within 5-10 minutes after their treatment and will be able to drive themselves home. Should I stop taking my medicine? What's amazing about these new procedures is that regardless of the medications that you are on, whether it's a blood thinner because of heart problems or past blood clots, diabetes medication, heart medication, or really any medication at all, you are not required to stop any of your medications. You do not need to fast before your treatment. On the day of your treatment simply take your medications as your physician orders, eat a good breakfast or lunch, come in and let us take care of you. Yes, you can drive yourself home. The treatments for Venous Reflux (vein problems) are now done using only local numbing medicine. Within 10-15 minutes after treatments most people drive themselves home and resume normal activities that day. Do i wear compression socks after treatment? After your vein treatments you will need to wear compression on your treated leg for at least 5-7 days after the treatment. This is to help with any swelling, bruising, or post procedure discomfort. The goal after treatment is that you will not have to wear compression on a daily basis. What happens if I don't go forward with treatment? Vein Problems are considered chronic and progressive. This means that if this is left unaddressed, the problems will not go away on their own and will gradually get worse. Compression socks and other conservative treatments can help relieve some of the symptoms of Venous Reflux (vein problems), but will not treat the underlying problem. For example, if you suffer from skin darkening/discoloration on your legs and treatment is postponed, the likelihood of you eventually developing an open skin sore/wound on your leg is high. This is how this disease can progress into more serious problems if treatment is delayed. Will my veins come back after treatment? Once a vein is treated and closed that vein should not cause problems again. However, Venous Reflux (vein problems) is a progressive condition and new problematic veins can arise years after treatment. This is why follow up with a vein specialist is important so any new issues can be addressed as quickly as possible. Do I have a wound on my leg because I'm a diabetic? The most common reason a person has a wound on their legs, or they have swelling, or skin darkening and texture changes is actually not diabetes. Most of these people are suffering from undiagnosed, untreated Venous Reflux (vein problem) in the legs. Complications from diabetes and complications for undiagnosed vein problems can actually mimic each other and compliment each other in a negative way. Could diabetes be a potential underlying contributor? It potentially could. Is it the real underlying reason why you are having problems? Generally not. Most people are also suffering from Venous Reflux in the legs that can be painlessly and efficiently diagnosed and treated with minimal pain and little to no down time. I hate these spider veins on my legs. Will insurance cover treatment for my spider veins? 99% of insurers do not cover treatment for surface and spider veins. Treatment is practically painless and very successful. We have several treatment plans available to help make treatment for spider veins as affordable as possible. The number of treatments needed depends on the person and extent of their vein issues. Do men get vein problems, or is it mostly women that get varicose veins and vein problems? Men can absolutely develop vein problems. Although women do get vein problems more often than men, men seem to present with more advanced symptoms on their initial visit. Vein problems only happen in older people right? Venous reflux can occur at almost any age. It is more common in the elderly but can show up as early as puberty. If you think you have vein problems, it is best to be seen sooner rather than later in order to prevent worsening of your symptoms.